It’s spring time, so we get all kind of pastel greens in all forms and shapes and from all sides and directions. Bud green and mint green and stuff. Believe it or not, what I want to talk today about is Burberry runway fall/winter 2015 collection. You’ll ask why. I’ll tell you why. People differ and styles differ. And I’d like to offer here an easier green, a more comfortabl green, a more wearable green. And not only green, by the way. Let me ask you this. Do you like grey? You do? 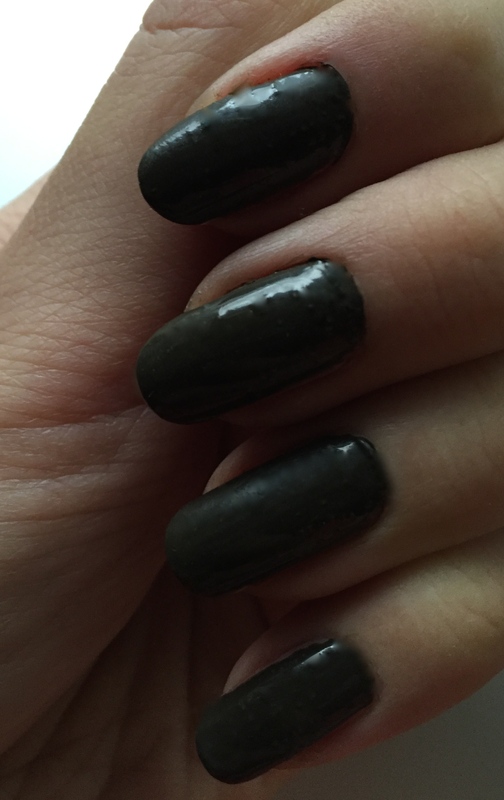 Then you probably know that Burberry nail polish range has the biggest grey nail colour concentration ever. If you don’t, check out my post called . So, if you like grey, I have something really special for you here, if you bear with me. 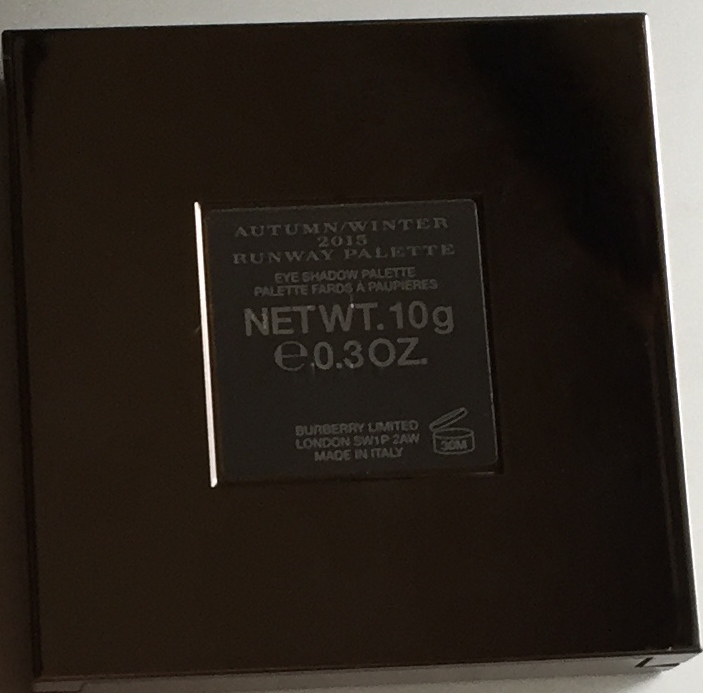 First we have here this eye palette. 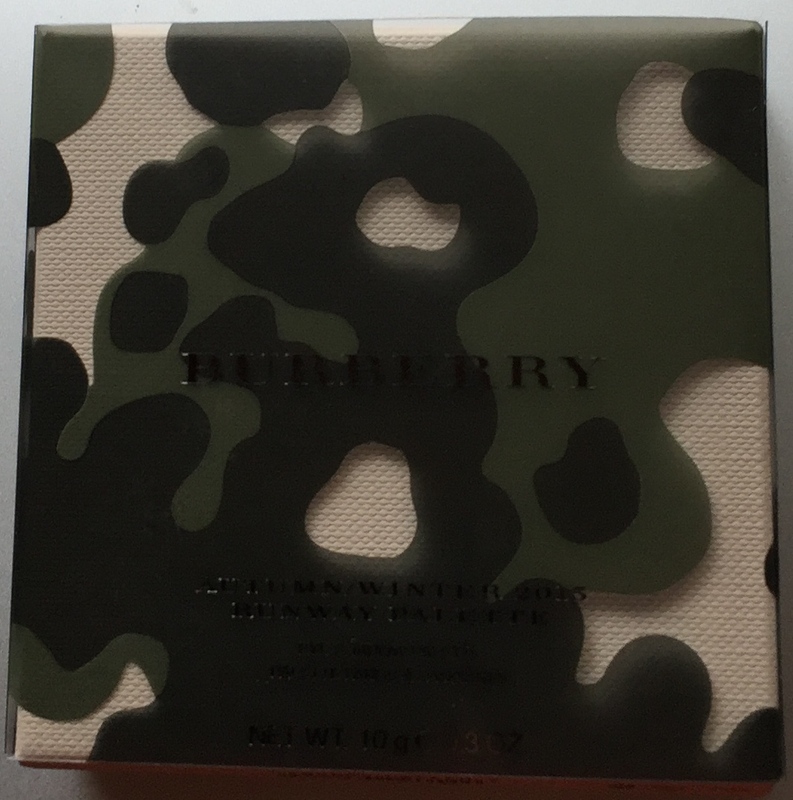 It comes in this so Burberry beige textured textile look box with a pastic sleeve on top with a military khaki pattern. All very Burberry. This is the plastic sleeve. And this is what’s under it. Well, for starters, this packaging in fun. I like it. But packaging is nothing without what’s in it, as we all know too well. 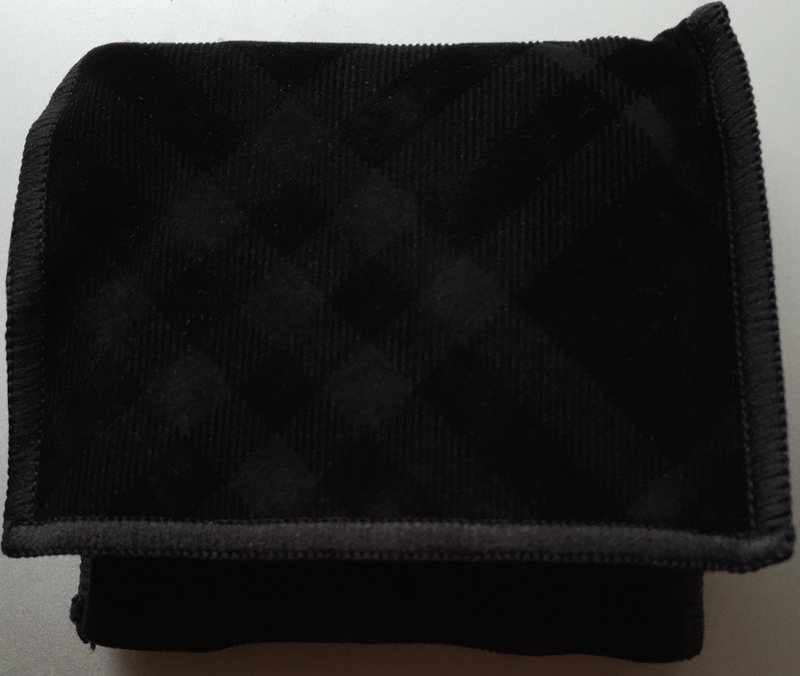 In it there’s this black velvety casing. 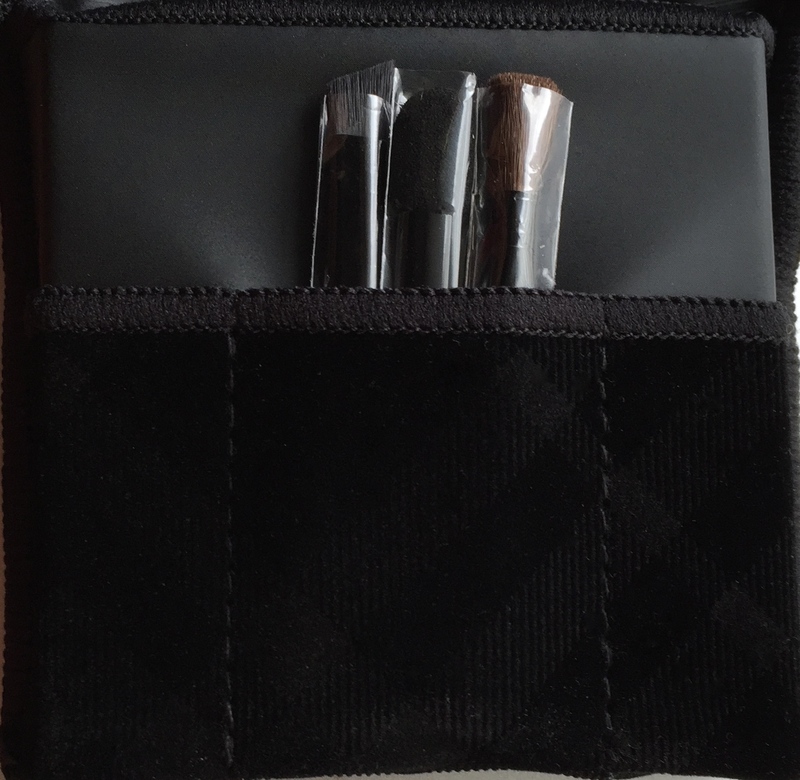 With a pocket for three brushes. Dual purpose depending on what you wanna do with it. Use any of the shades in the palette as an eyeliner. Or maybe, go for a complex eye look, where you need some precise application for the right distribution of colour. Then we have a sponge. And a typical eye brush. 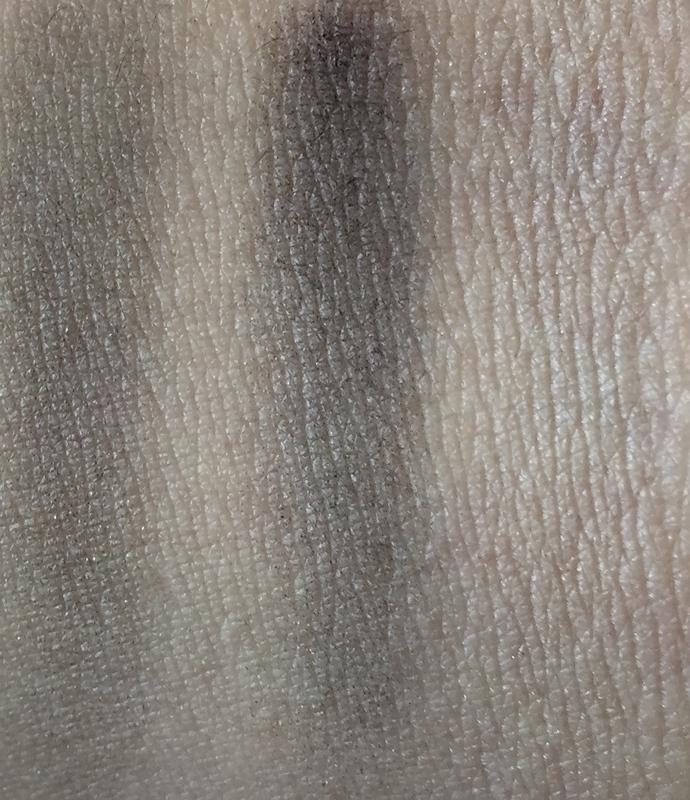 For a more washed, all over, easier eyeshadow look. And that’s the three brushes we have. Now to the palette proper. 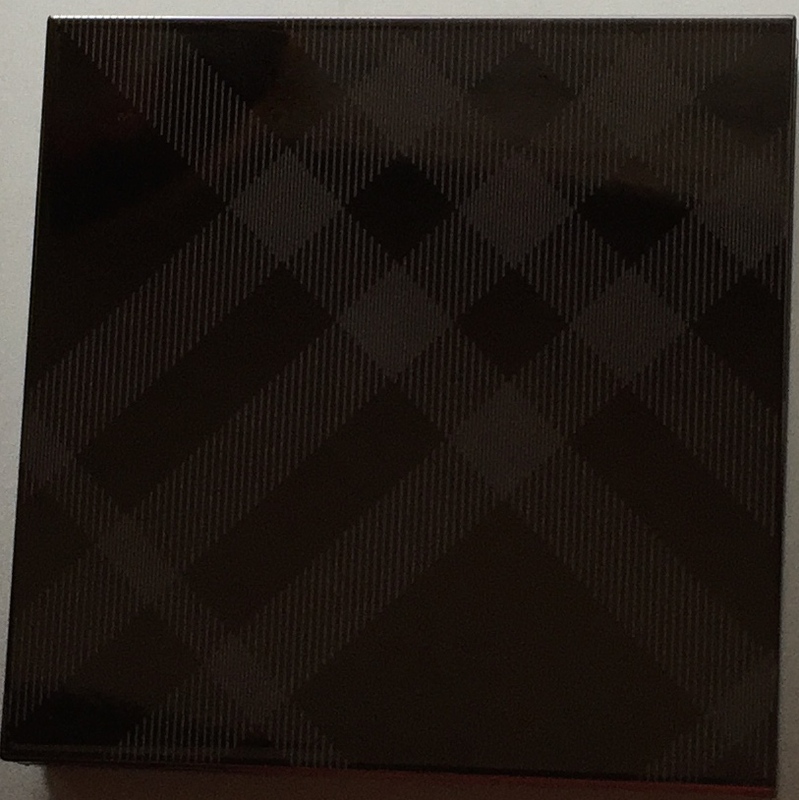 Burberry silver metal case with Burberry pattern. All in place. And then inside we get this. Very cute. And very interesting. 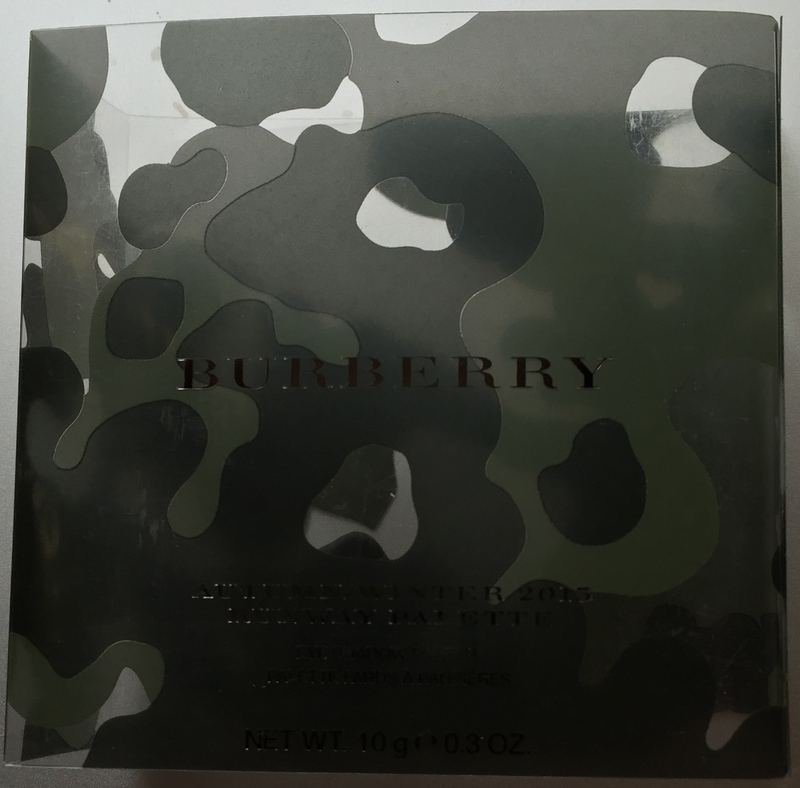 The first thoughts that run through my head are: Burberry, military, khaki… And then I take a closer look. And here’s where I emerge. There’s an odd man out in this khaki world here. Grey. It’s by no means khaki. 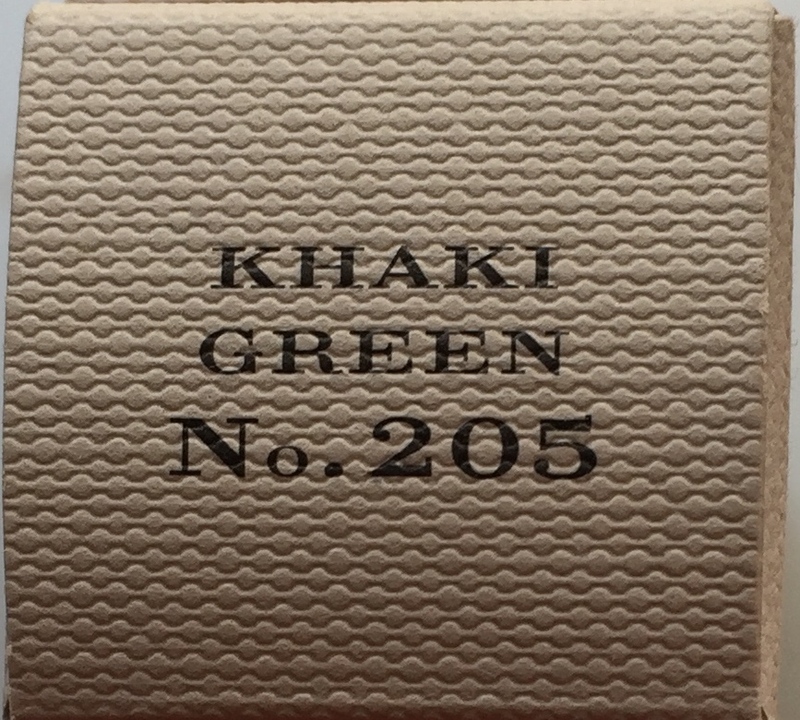 Khaki is all about beige, brown and marshy green. Warm shades, that is. And never about the ever so cool grey. But here it is. Why? Let’s see. Oh, this eyeshadow is soft. Very soft. Limited edition like soft and nice. I like that. So, first there’s khaki green. Understated and classy. A much more wearable kind of green than bud green and mint green. Very elegant. Then we have this medium leaning to darker grey shade. Another Burberry classic. A good eyeliner shade, if you really layer. And, finally, there’s this light and base like beige, almost off white, actually. Cooler than what it looks like in the palette. There it looks vanilla like. Yellow almost. When I look at the shades side by side, I have to admit, that grey does fit in and that it gives the right zest to the whole occasion here. 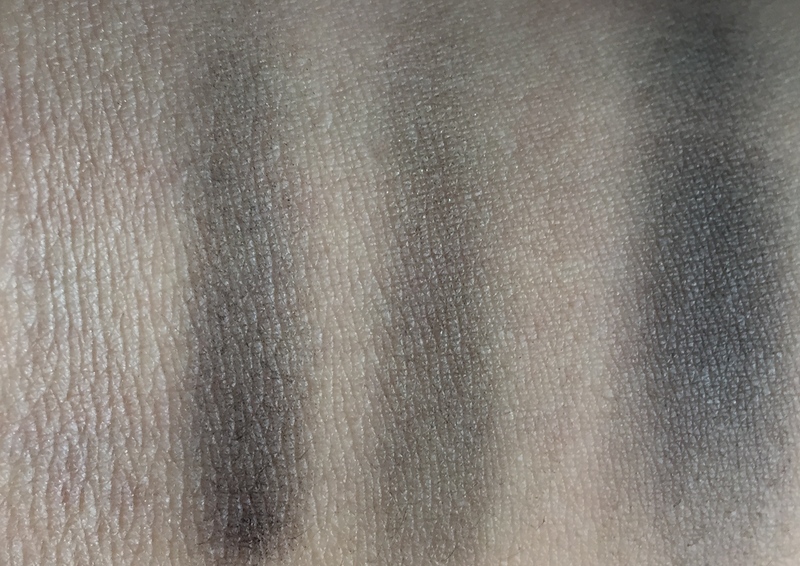 All these shades provide for an exquisite look, when you want you eyes to stand out without everyone knowing that you took an extra effort for them to do so. 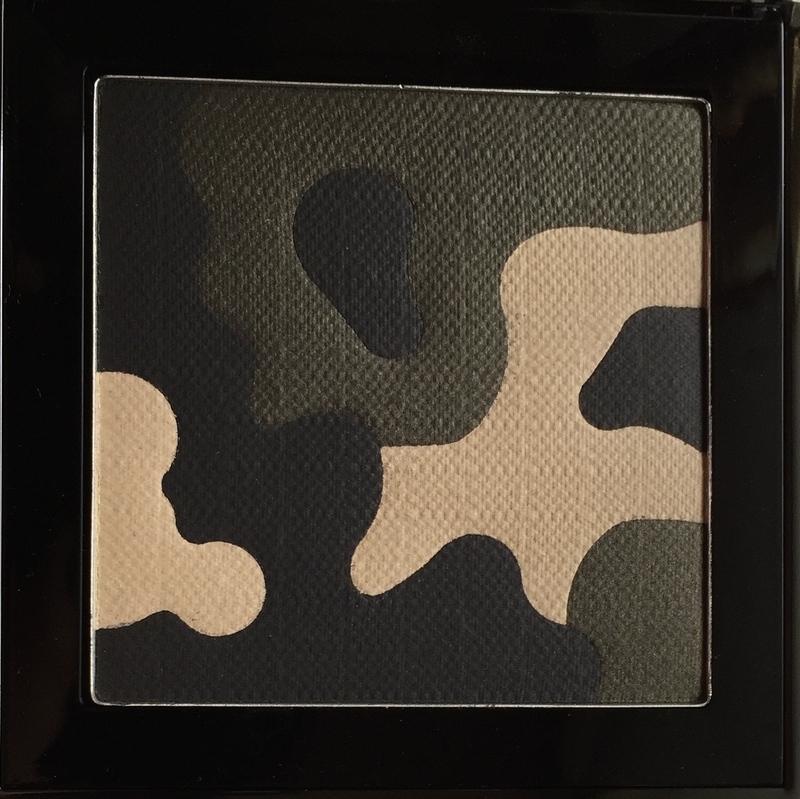 This palette is also great for a quick makeup. When you don’t have much time but need to look really good. And yes, all these shades are great for spring, whether you combine them in one look or use separately or in combinations. Because spring is about awakening, and awakening can be different. It’s not always a crazy rush out of bed on hearing the alarm to get to this ever so important meeting in the office on the other end of the city. This palette is more of a weekend awakening. Languid, with extra ten-fifteen minutes in bed and a steaming cup of coffee or tea once you emerge out of the shower. Or a glass of refresing orange juice with glossy ice cubes. Whatever it is, it’s slow and enjoyable. And in the moment. Me being me though, of course, I couldn’t stop right there. Such palettes are always designed not just to pick and choose shades. They are designed to swipe and to mix. And that’s exactly what I do next. And then I discovered it. That shade. Grey. I don’t even love grey. I like it though. But this grey I adore. Because it’s beautiful. It’s different. It’s complex. It’s special. It’s more. And it’s you. And me. And every one of us. Look at this. This grey is just so flattering. And so delicate. Iridescent. Gleaming from within. The kind of grey that will light up any look, any eye colour, any complexion. Now this here is a truly limited edition colour. It’s rare. It’s not light and silvery. It’s not dark and smoky eye like. It’s snow queen like bluish grey. It’s the kind of grey that can be the first grey you want to wear. And that might lure you into all the fifty shades of it. Whatever it is, it’s worth a look and a try. 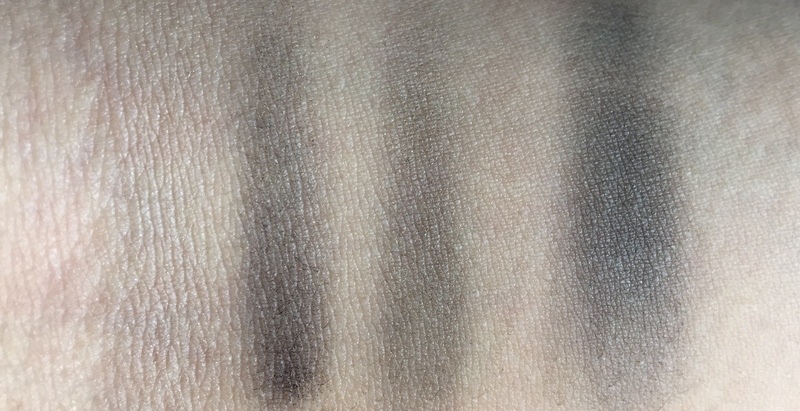 Here are the four shades you can get out of this palette. Left to right: off white, grey, khaki and the beautiful swipe all through grey. And that’s not it. 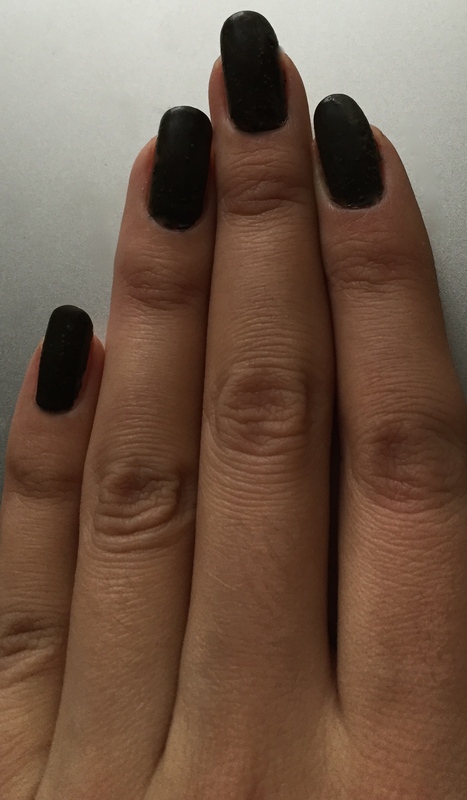 There are two nail shades too 🙂 They come in classically Burberry beige textured boxing. Khaki Green is dark. 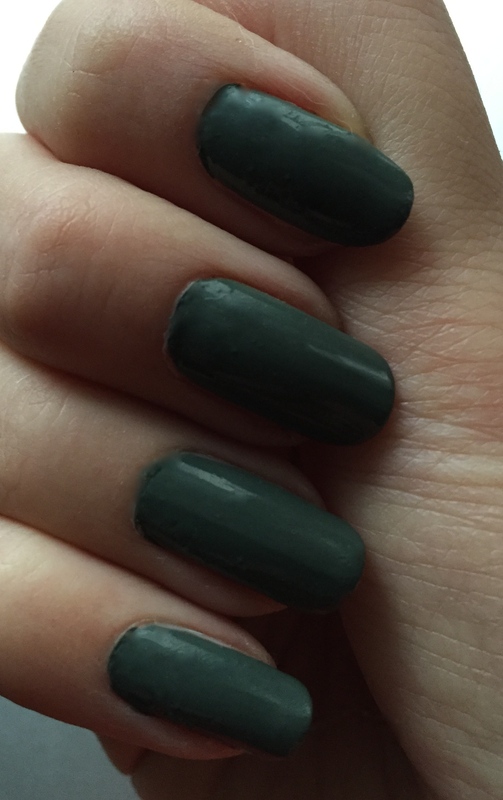 Dark and marshy green. Yes, it’s spring. It doesn’t mean though you should urgently change your whole style and go into pastels. 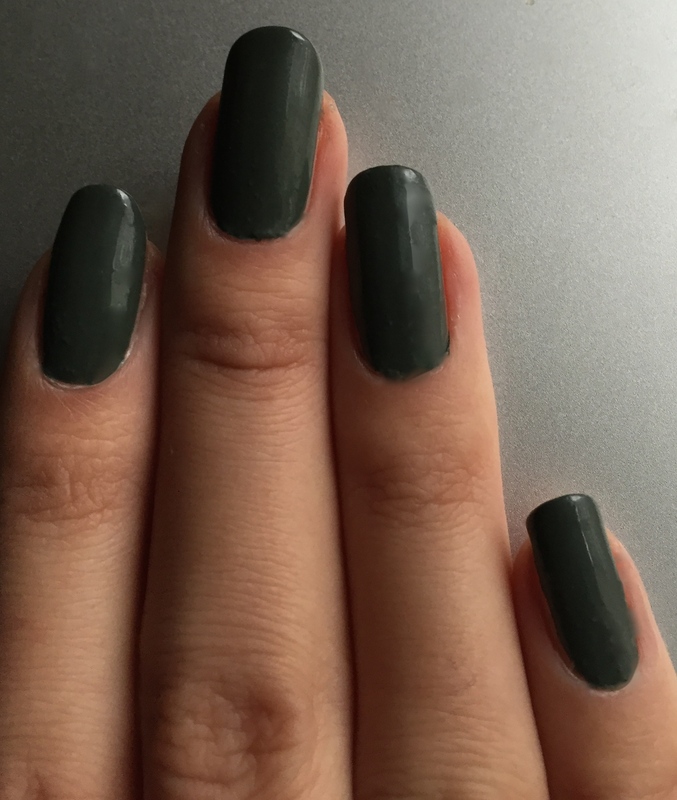 If you always wear black and navy blue and dark purple nail colours, you can try this green instead to match your style. Why not? After all, it’s green too. And of course, you can throw it into the rotation, if you’re just too tired of all the romantic greens out there. The second shade is my personal favourite. If for no other reason, then because it’s something we see only rarely. Just like that special grey eye shade. 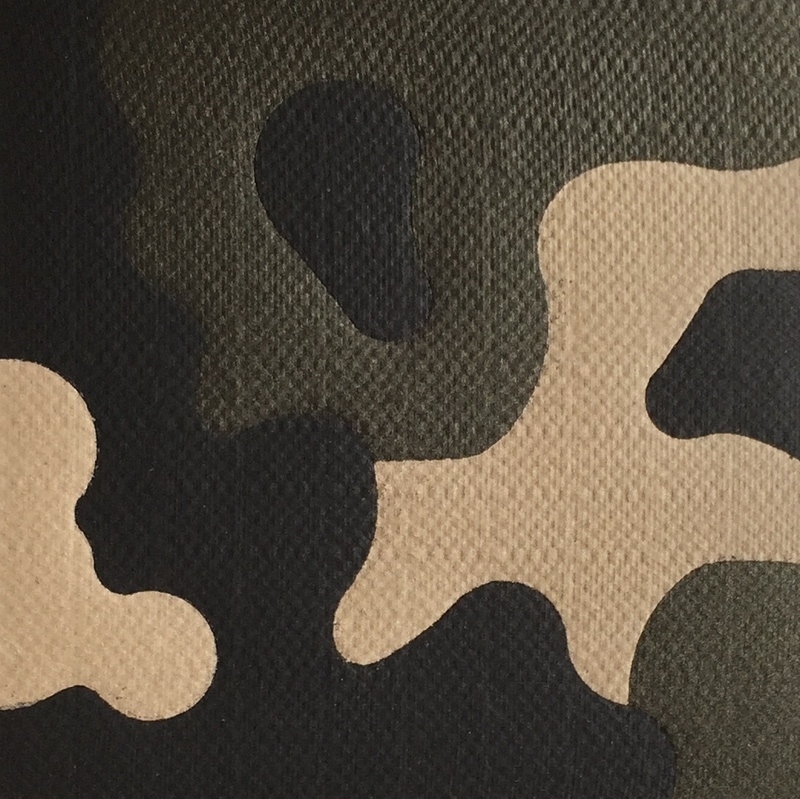 Cadet Green continues the whole military topic that started in the eye palette pattern. 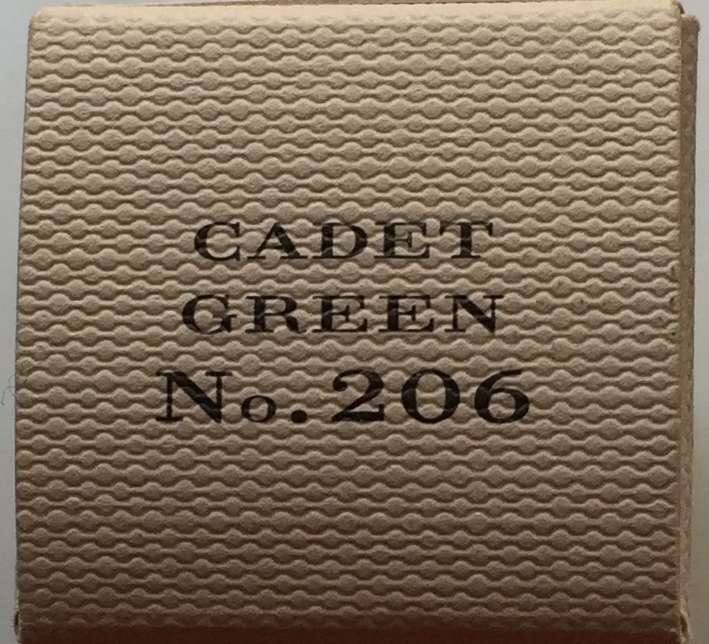 Cadet doesn’t necessarily tell you what it’s like, because in different parts of the world cadets wear different uniforms J This green is definitely green. But it’s not crazy green. It’s calm and soothing. Comfortable, just like the eye shades. 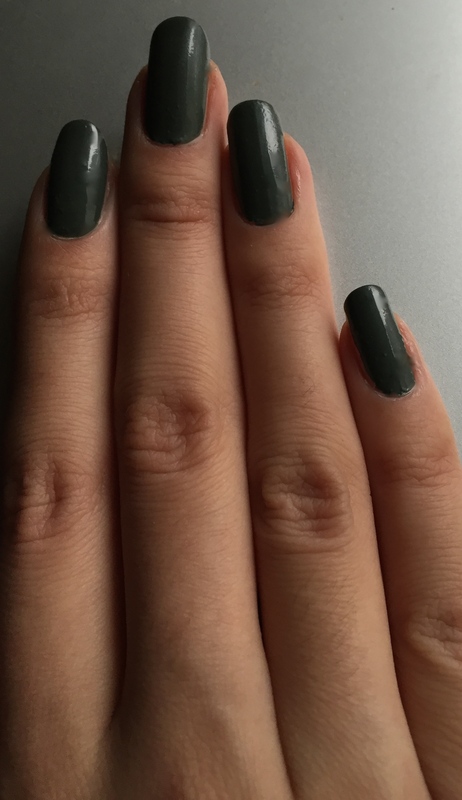 Just like that swipe grey shade might get you into grey eye colours, this green here might introduce you to the whole green manicure world. There’s something truly special about it. Because it doesn’t show up in makeup ranges and even limited editions that often. It’s grass green, but this grass is lush and darker, not spring grass, middle of summer grass, when it’s full of juice and strength. And then it’s like a mass of grass. A grassy meadow. 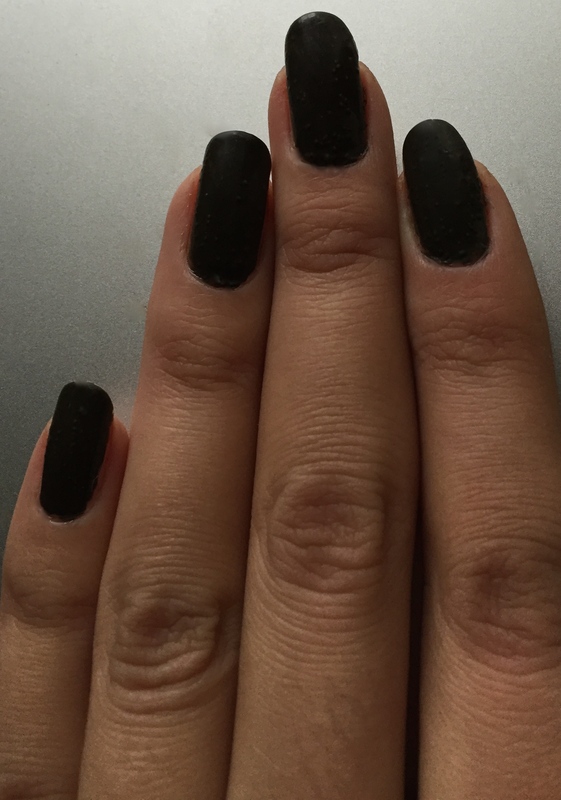 Not as dark as Khaki Green but on the darker side. Very appealing. Almost across the board flattering. Whatever your complexion is. 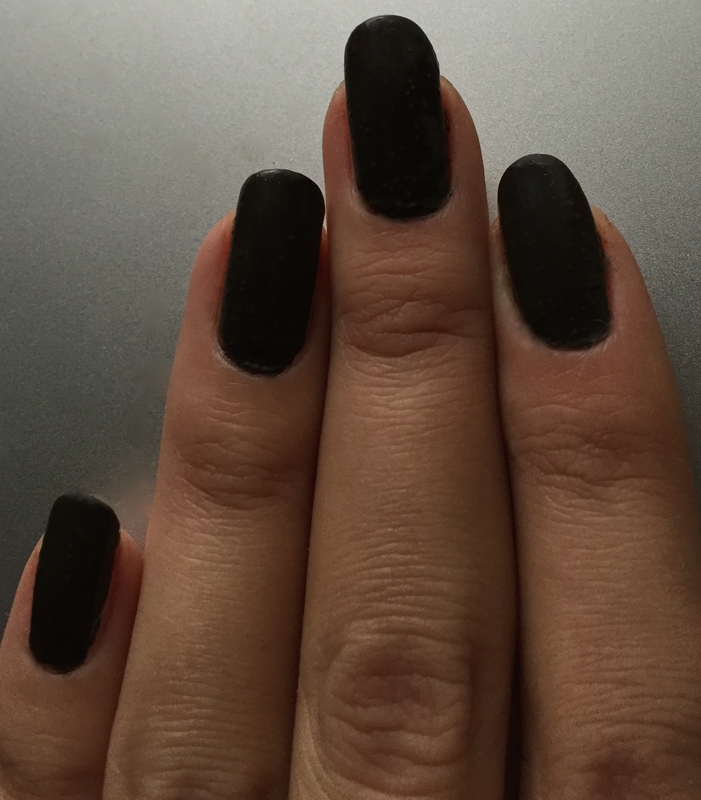 Will look good on both long nails and short nails. 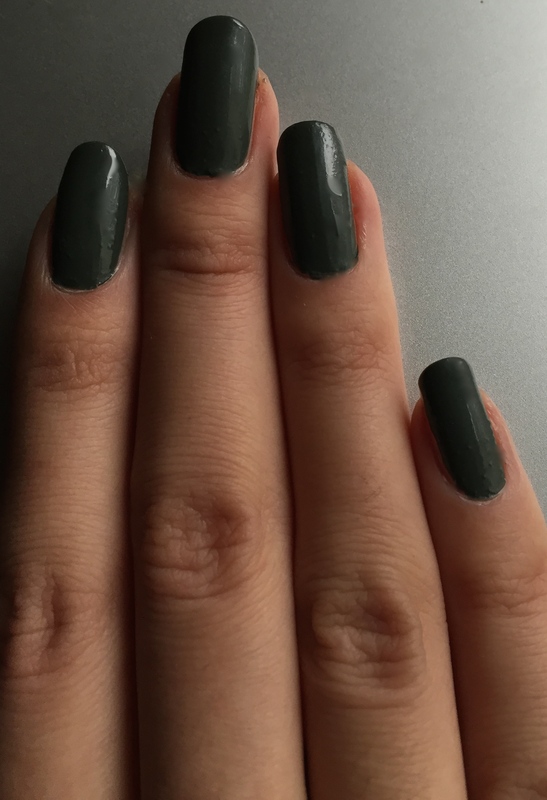 It will be the first green manicure ever that you can wear with a bunch of outfits, as opposed to with that one green dress you had in mind when picking it. This here not a standard take on spring. It’s an odd man out in the panoply of spring collections, because it’s not really a spring collection 🙂 And that’s exactly what I like about it. Why not make spring your own and get really settled in it as opposed to following the sweeping trends? At least, sometimes this spring you want to do that. Relax and breathe in and get in the spring groove before you go all out, doll up, curl your hair, wear all the flared skirts and pastel shoes and handbags and eye shadow and pink lip glosses. That’s the collection. It’s small, compact, easy to use and breathing with spring. Not with a stereotypical romantic movie like spring, but with your spring, with walking in the park, lounging in your favourite café and doing something you like. And looking great doing it.